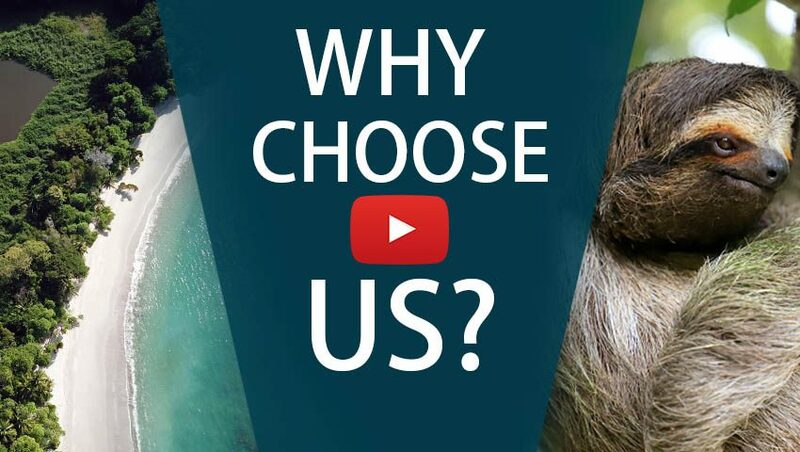 Take Your Family to Two Iconic Parts of Costa Rica for Less! Traveling with a family on a budget? With the Affordable Costa Rica Family Vacation, you’ll have a stress-free, adventurous trip with some well-needed relaxation on the side. Start out with a personal meet-and-greet at the airport – perfect for families and those traveling internationally for the first time! You’ll be escorted through customs and to your private driver, who take you on a drive through the countryside to your first destination: Arenal. 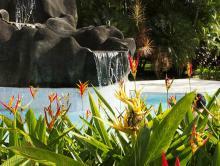 Enjoy views of the impressive Arenal Volcano while wondering at the lush green foliage that surrounds you. Here, your family will enjoy two iconic Costa Rican tours: a trek over hanging bridges through the rainforest and a thrilling zip line ride over the forest canopy. After that excitement, you’ll want some rest and relaxation! What better than the beach? Take a private transfer to one of Costa Rica’s most popular spots, Tamarindo. Your hotel, the Diria, has an enviable oceanfront location. Take time to explore the beach, stroll the funky beach town, and maybe do an extra adventure tour. Your R&R culminates with a boat ride on the Pacific, complete with snorkeling, kayaking, and a stunning sunset. Leave for home with your head full of memories and your camera full of family photos! 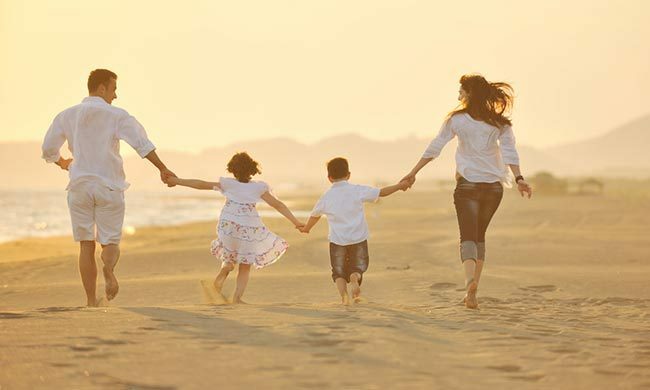 Family travel will never be easier than with our personalized meet and greet service! You’ll be met and assisted through customs, then taken to your private driver. A lovely ride through the countryside is great start to your affordable Costa Rica family vacation. You’ll be staying at Lomas del Volcan, known for its closeness to the Arenal Volcano. Your first day starts off with a nature-filled trek through the Costa Rican rainforest. 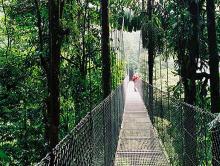 Adults and children alike will love the hanging bridges through the tips of the canopy. Look for exotic plants and animals as you take in the majesty of the rainforest. You then begin your adventure by rappeling through waterfalls, a dry rock face, a canyon wall and a monkey drop! You may spot wildlife such a monkeys, sloths and tropical birds along you way whilst you hike between each rappel! After so much excitement, a bit of beach time is in order! 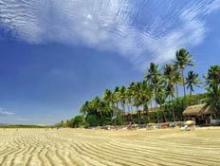 Take a private transfer from Arenal to Tamarindo, on the Guanacaste coast. Stay at the Tamarindo Diria, which offers unmatched beachfront access with the convenience of nearby shops and restaurants. Spend the morning settling in, then head out on a boat for a relaxing afternoon on the sea. You’ll have the chance to snorkel, kayak, and do some whale and dolphin watching. Then enjoy a stunning sunset over the Pacific Ocean, with a drink in hand. You’re at one of the most popular beaches in Costa Rica, and there is tons to do! Beachcomb, sunbathe, wander the local shops, check out great restaurants, or try one of the many tours available in the area. Fully relaxed, hop into the private transfer to the airport and then board your plane back home.